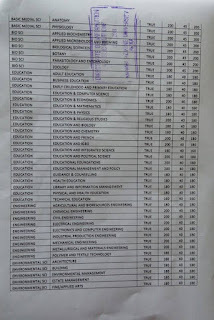 Nnamdi Azikiwe University, UNIZIK Admits All Candidates Who Met The Merit Admission Cut-Off Marks for 2018/2019 Academic Exercise. 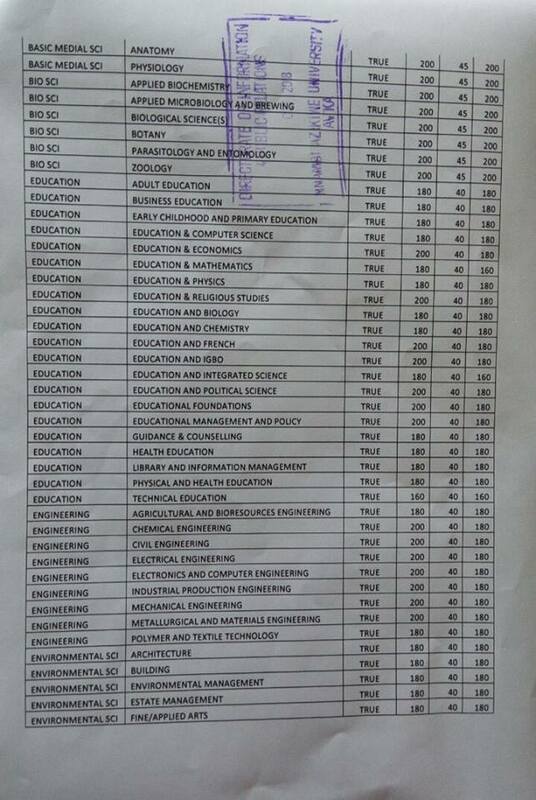 The following listed courses admitted every single candidate who made its cut-off criteria (shown as a combination of UTME-PostUTME-aggregate scores) (with the exception of those with wrong subject combinations). This was approved during the merit admission exercise. 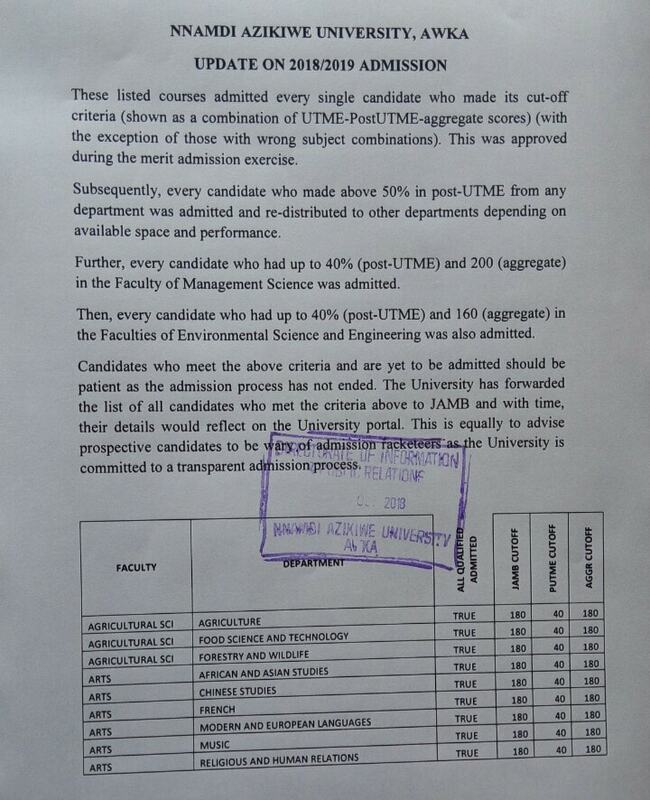 Subsequently, every candidate who made above 50% in post-UTME from any department was admitted and re-distributed to other departments depending on available space and performance. 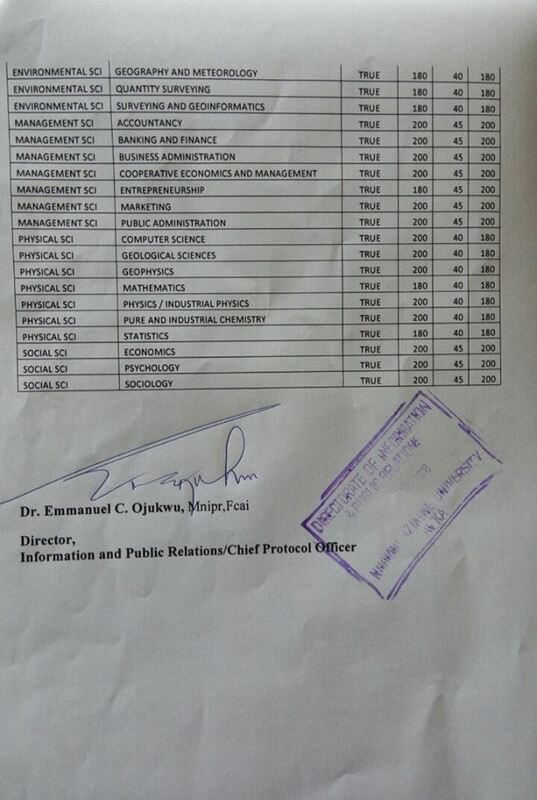 Further, every candidate who had up to 40% (post-UTME) and 200 (aggregate) in the Faculty of Management Science was admitted. 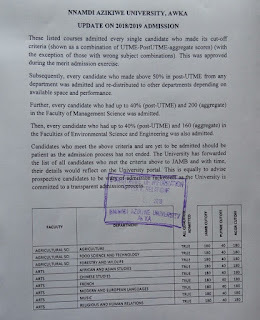 Then, every candidate who had up to 40% (post-UTME) and 160 (aggregate) in the Faculties of Environmental Science and Engineering was also admitted. Candidates who meet the above criteria and are yet to be admitted should be patient as the admission process has not ended. 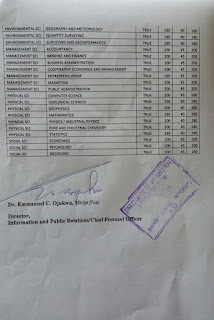 The University has forwarded the list of all candidates who met the criteria above to JAMB and with time, their details would reflect on the University portal. This is equally to advise prospective candidates to be wary of admission racketeers as the University is committed to a transparent admission process.